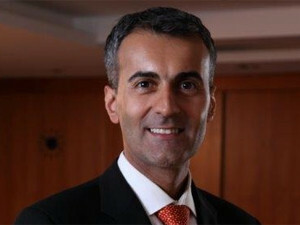 JDA Software's interim CEO, Baljit Dail. Dail has served as JDA's chairman since May 2013, and will replace Hamish Brewer, effective immediately. As CEO, Dail will lead the search for a permanent successor. In a statement, JDA Software says Dail has extensive past success in the IT industry, and has previously served as CEO of both Aon Hewitt and Aon Consulting, and as CIO of Aon Corporation. He was also a partner at McKinsey & Company focused on the high-tech sector, and is currently an operating partner at New Mountain Capital. He started his career in the technology group at Marks & Spencer, a retailer in the UK. "As the leader in supply chain, JDA already has the broadest and most advanced suite of solutions and services covering supply chain planning and execution," says Dail. To Dail, the intention now is to build on this leadership position by accelerating investments in the company's solution and delivery capabilities to empower its customers to stay ahead of the curve in an ever-challenging and increasingly complex global supply chain environment. "We appreciate Hamish's leadership through a significant period of growth and success for JDA. On behalf of JDA's board of directors, shareholders and associates, I would like to thank him for his significant contributions throughout his two decades of service to the company," says Dail. "I am proud of the company we built during the 20 years I have been with JDA," says Brewer. "I am confident that JDA will only continue to strengthen its position as the leader in supply chain solutions and services," he concludes.